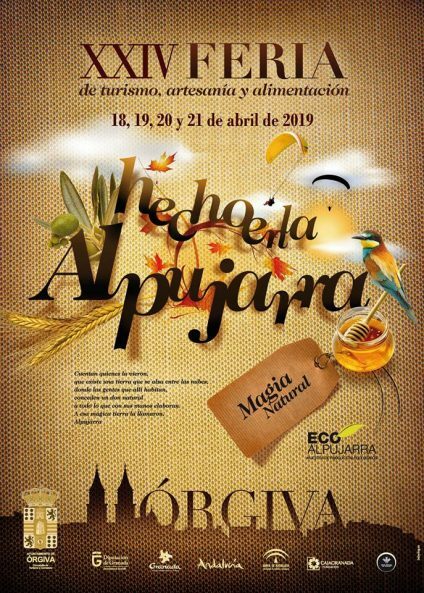 In the Alpujarra town of Orgiva Hecho en La Alpujarra is held each Easter week. Located 30 mins drive South from Granada this charming area has amazing local produce and traditional crafts. It´s handy to have all the producers from mountainside villages all under one roof in this annual Craft and Food fair. 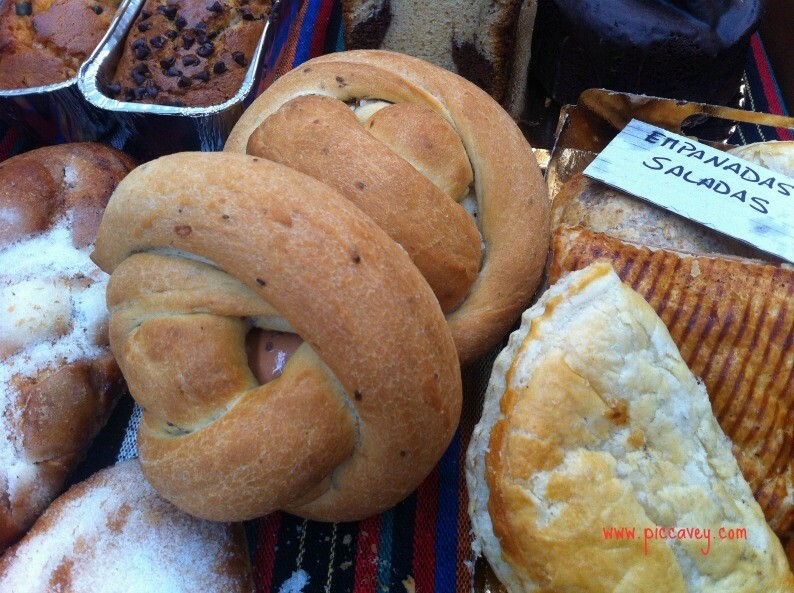 Local Food and Handmade market celebrates the region of the Alpujarra. The event is set up just off the main street of Orgiva itself, next to the River chico. Look for the large marquee set up near to the entrance of the town. 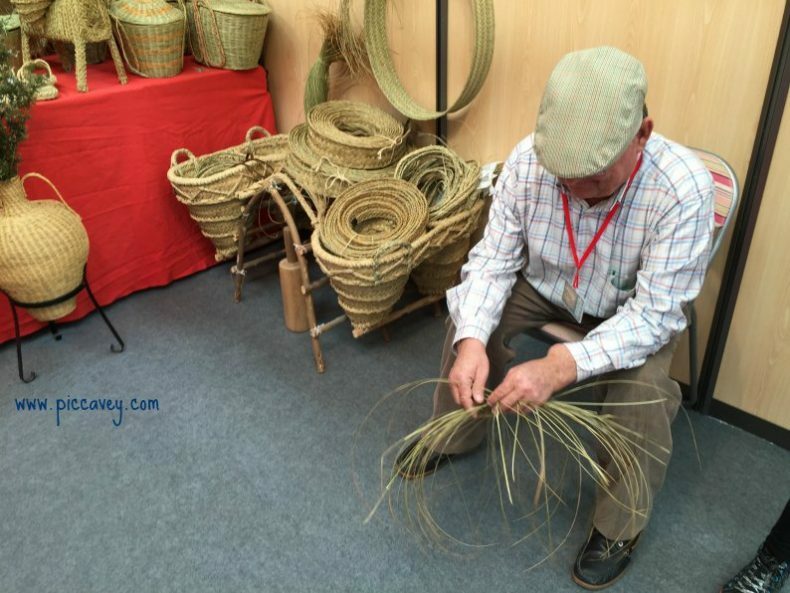 This year Made in the Alpujarra begins on 18th April and lasts until 21st April. Spanning the Easter weekend. The fair is open from 11am until 9pm. 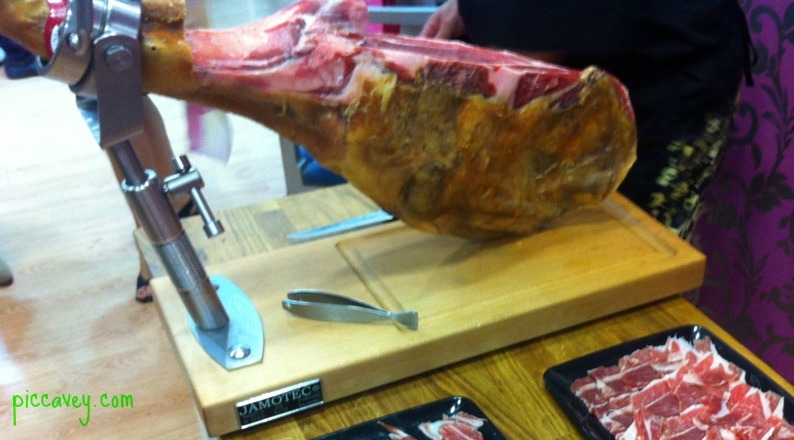 They offer tasting workshops during the mornings of the fair, usually to sample local wine, Spanish ham, Alpujarra cheese or even locally produced chocolate. To get there take the motorway A 44 from Motril or Granada. Direction Lanjaron/Alpujarra. Orgiva is clearly sign posted as it is one of the main towns in the Alpujarra area. From the main road off the motorway it should be easy to find. The local bus company ALSA also has buses from Granada city to Orgiva. Check their website for timetables. Buses leave from Granada bus station. The fair is a great place to buy local honey, sample wine from the Alpujarra or stock up with natural jams made from prickly pears or mountain raspberries. Since I discovered this fair many years ago, its become an Easter tradition. I visit each year, enjoying the alternative at Easter. Once I have seen a few processions in Granada I generally stock up with rustic bread from La Tahona de los Galindos, pick a fragant cheese from one of the many producers in the Alpujarra and anything else that catches my eye. Other goodies that you will find are beauty products made from natural ingredients such as olive oil or local honey. 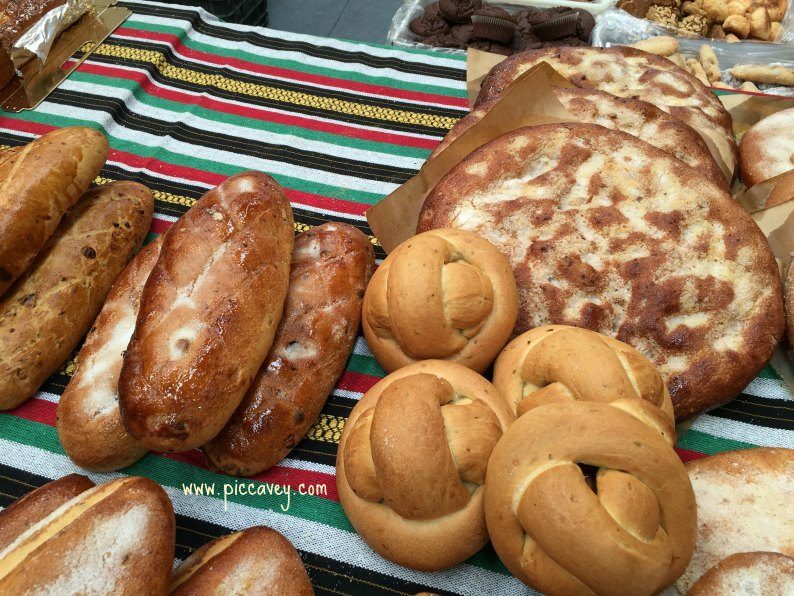 Heaps of pastries and cakes baked in the village ovens, delicatessen products such as chorizo, salchichón and of course Serrano ham from Trevelez. The village of Pampaneira even has it´s own Artisan chocolate producer Abuela Ili. The factory is located in Pampaneira yet they have shops in Almeria, Ronda and Granada. Haven´t got photos of this, the choc we bought was eaten! But do take a look at their amazing flavour combinations in their Granada shop or when you are in the Alpujarra. The are a few local wine producers at the event. Bodega 4 vientos and so you can taste so of the different wines before buying. Local crafts on sale are leather goods and traditional andalusian potters offering local ceramics. 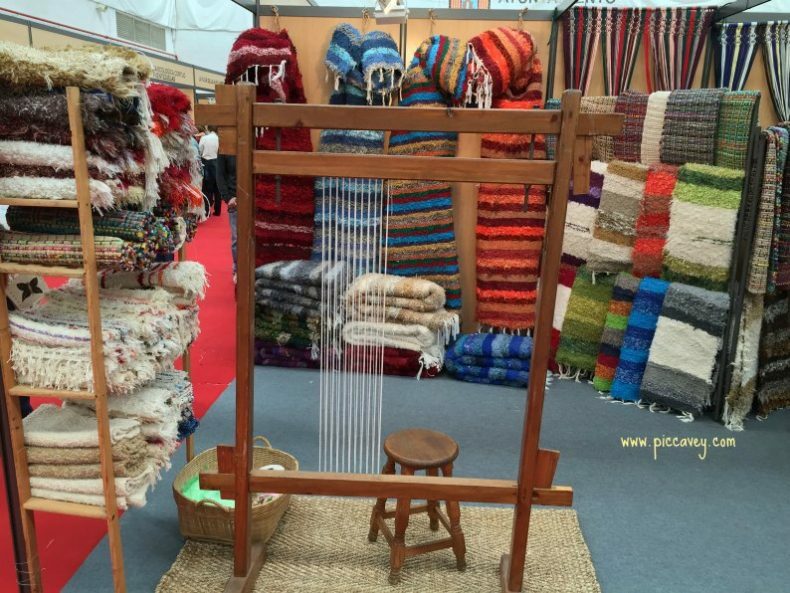 You can also see the local Jarapa textiles and other contemporary artists with paintings and sculptures on exhibit at the fair. Rather than going along all the windy roads to get to each artisan individually. Reblogged this on The Hotel Los Bérchules Blog. Looks great .If i was a bit nearer I would go! Fond memories of ..
My readers will love to hear about expat life in Granada. Sounds divine. I want in! A unique and beautiful region. We enjoyed the drive from Granada. The baked goods and the chocolate were incredible! The food is this region is wonderful as most is made from the local produce and using mountain water from the Sierra Nevada. I’m visiting Capileira end June – any particular local cheeses you could recommend that I should hunt out please? on Avenida de Gonzalez Robles or the one in Tablones, just before Orgiva on the main road.